With President Donald Trump showing little interest in sitting down at the negotiating table with North Korea—regarded by many in the U.S. and around the world as the best method for deterring nuclear development by Kim Jong-un’s government—Hawaiian officials are being forced to take precautions to make sure residents know what to do in the event of a nuclear attack. 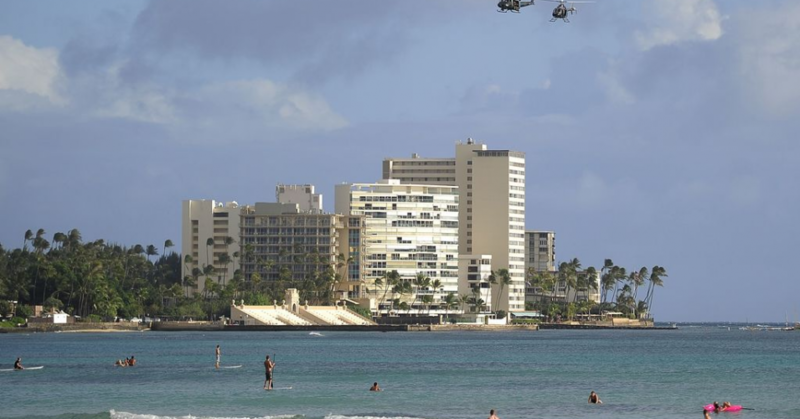 At the beginning of next month, the state will begin testing the missile warning system it used during World War II and last tested during the Cold War. The agency is reinstating the warning system amid Trump’s ongoing feud with Kim’s regime. North Korea ran nuclear tests and launched several test missiles into the Pacific Ocean earlier this year, and Trump responded to the tests with bellicose threats of “fire and fury” and a speech at the United Nations General Assembly in which he declared he would “totally destroy” the isolated country of 25 million people should Kim continue to develop its nuclear program. Earlier this month, the White House returned North Korea to its list of state sponsors of terrorism, further angering Kim’s government and leading critics to worry that the country would respond with more nuclear tests. A missile launched from North Korea could take just 20 minutes to reach Hawaii, according to the Defense Department, but officials say that if all 1.4 million residents of the state’s eight islands follow precautions, at least 80 percent of Hawaiians could survive a nuclear attack. In public meetings and announcements broadcast on TV and the radio, officials will instruct local residents to hide in a concrete shelter and have enough food and water to last at least 48 hours. This entry was posted in Civil Rights, Government, International Agreements, Military, Technology, War, World War III and tagged Civil Rights, Cold War, Donald Trump, Hawaii, International Agreements, Military, missile warning system, North Korea, nuclear arms, nuclear war, World War III on November 28, 2017 by MNgranny.